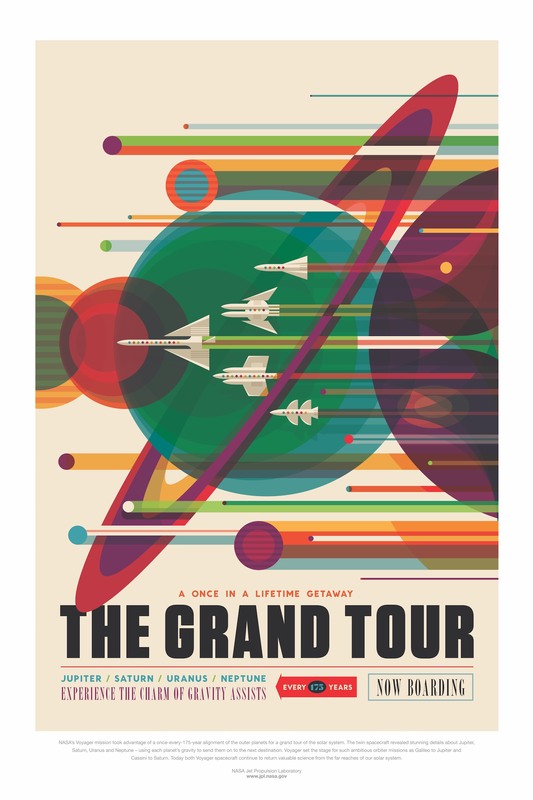 These NASA Space Tourism Posters were developed by a creative team of visual strategists inside JPL known as “The Studio”. 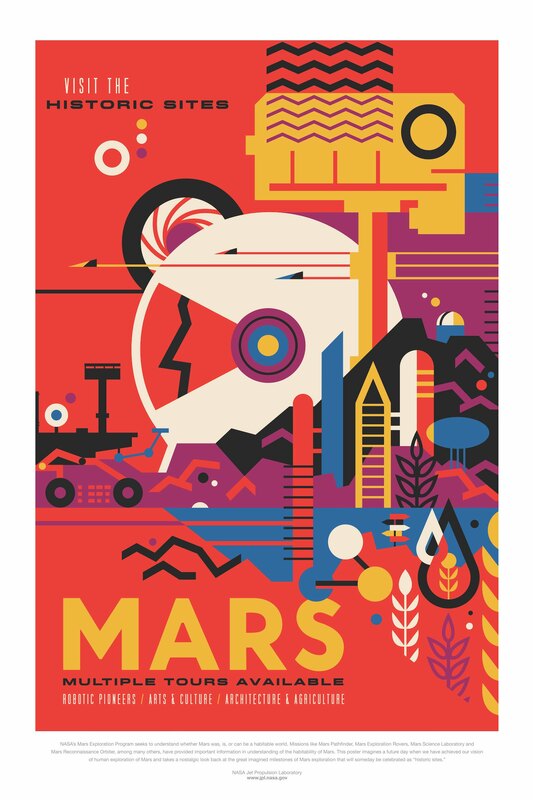 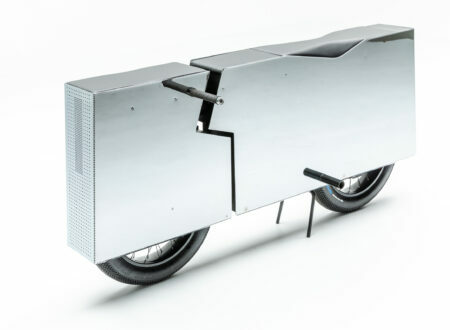 Altogether there are 9 artists, designers, and illustrators, and they worked alongside Jet Propulsion Laboratory-Caltech scientists and engineers on each design. 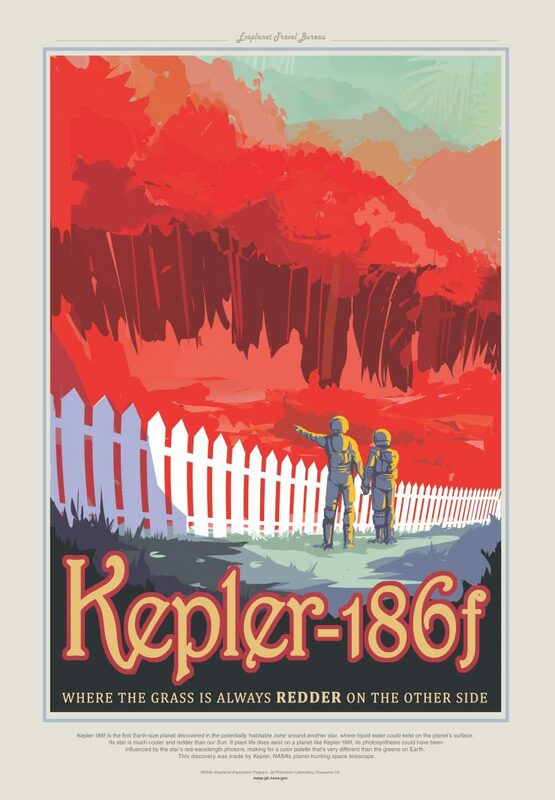 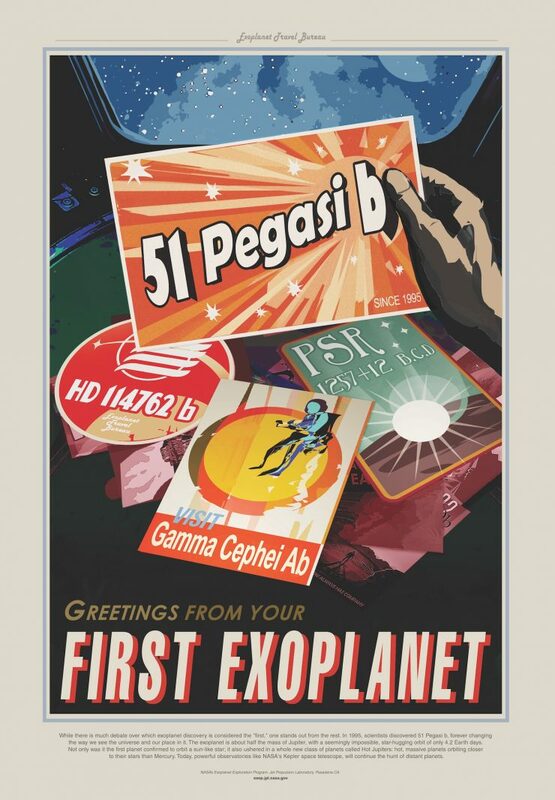 The poster series started out as a project within the JPL to celebrate the discovery of new planets outside our own solar system – known as exoplanets. 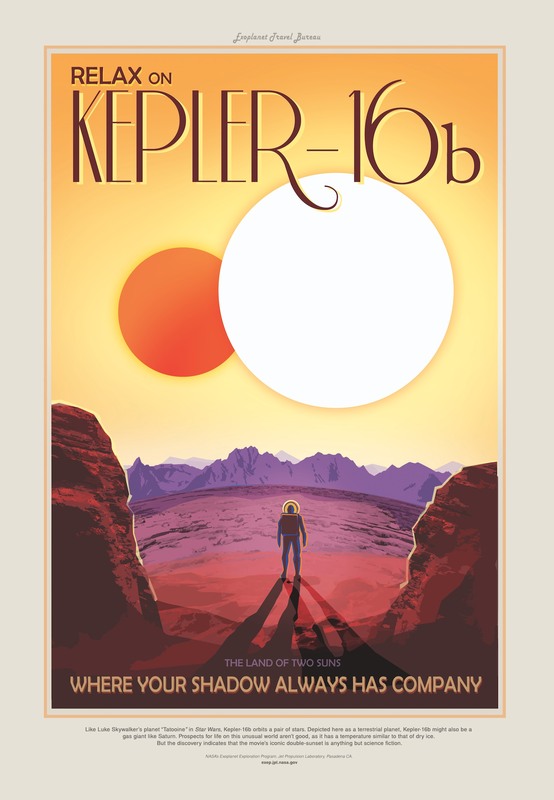 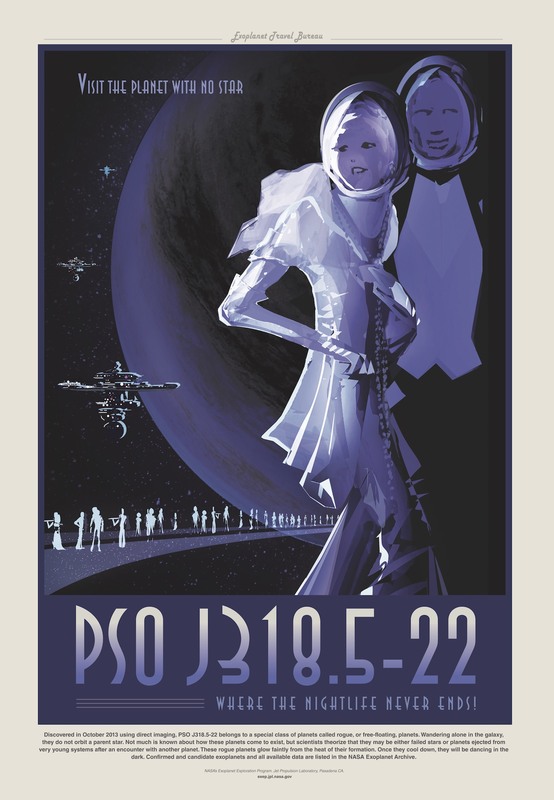 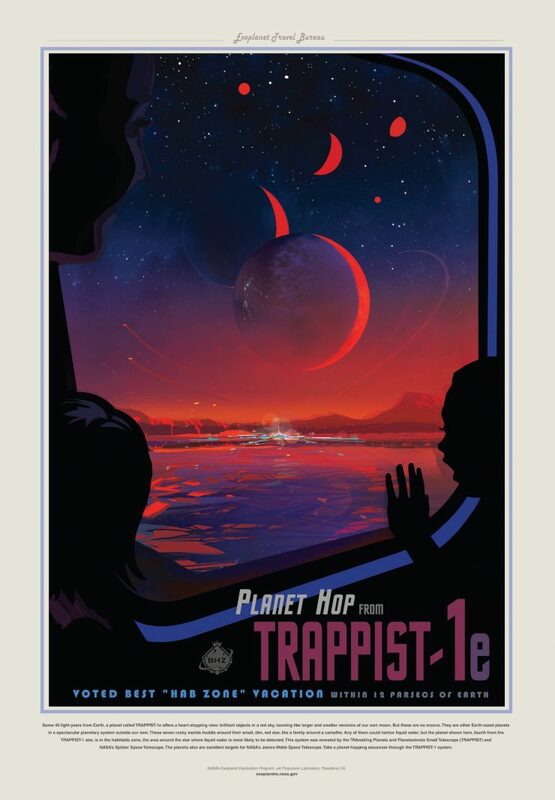 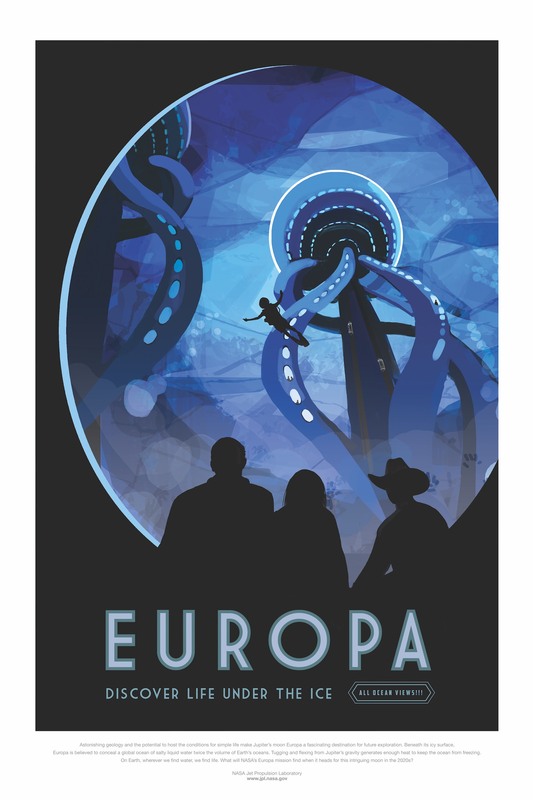 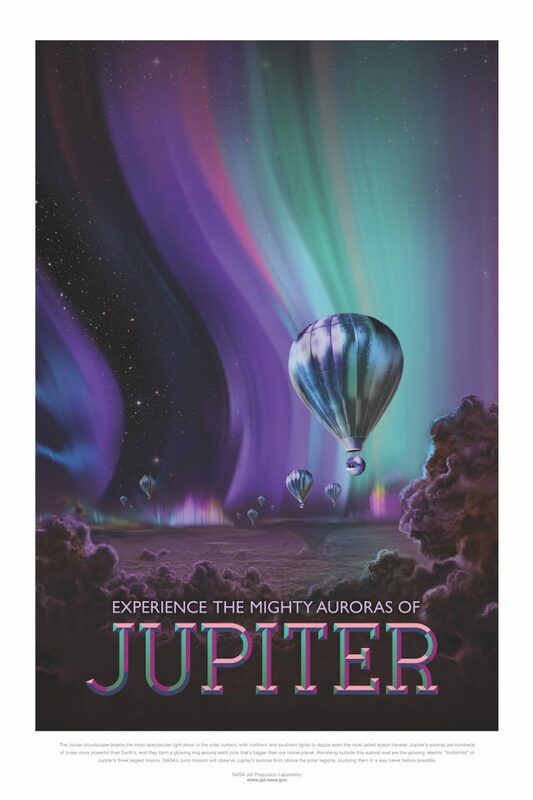 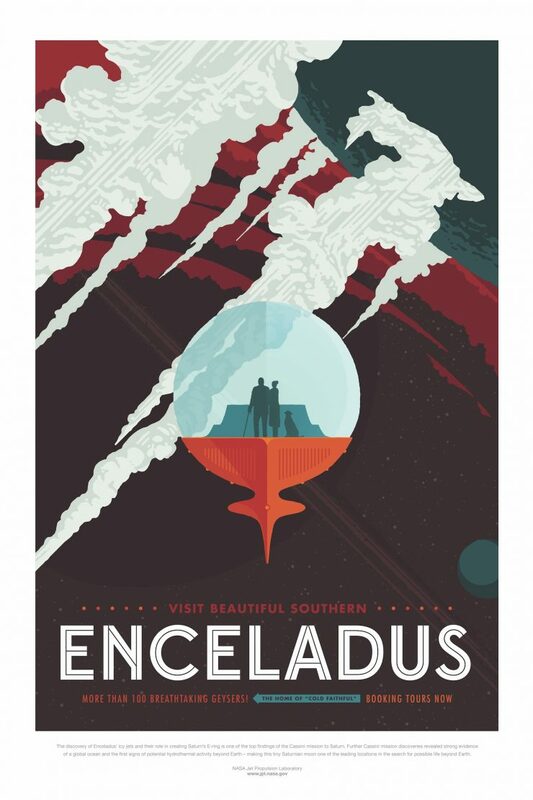 A tourism poster was commissioned for each of the then-known exoplanets, later the director of JPL would take a vacation at the Grand Canyon and see some retro tourism posters. 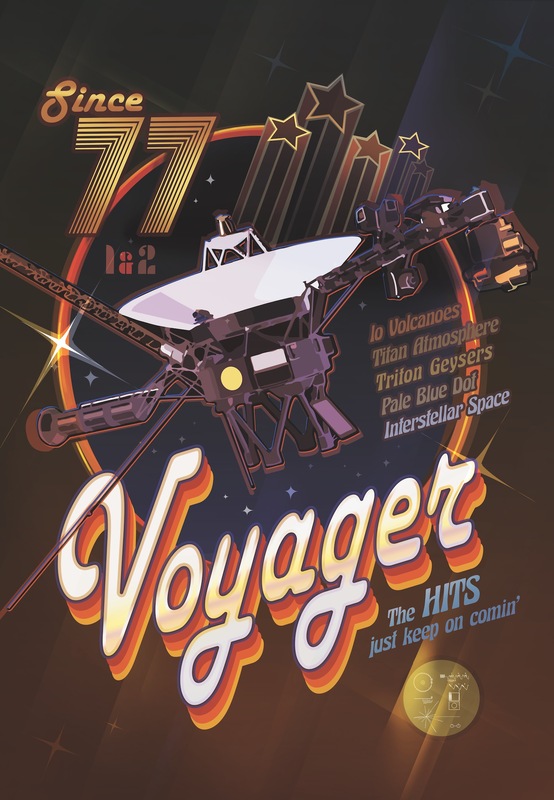 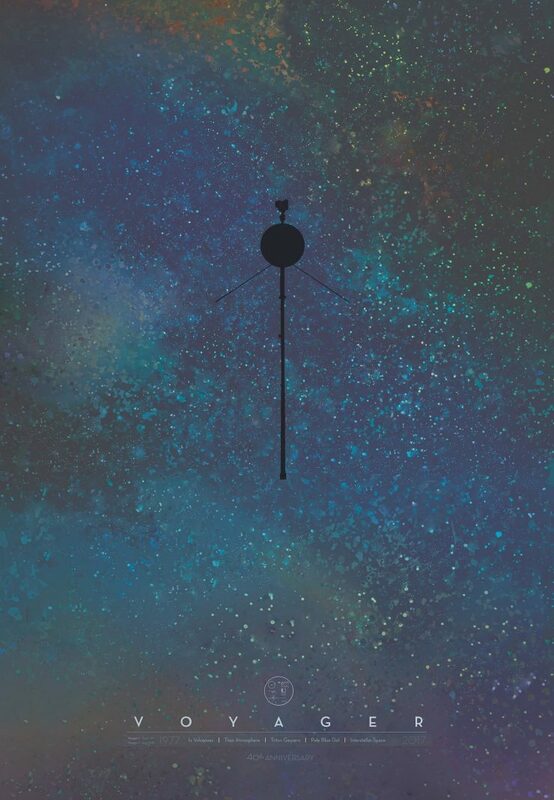 He then decided to extend the poster series to include the planets and moons of our own solar system, and Voyager. 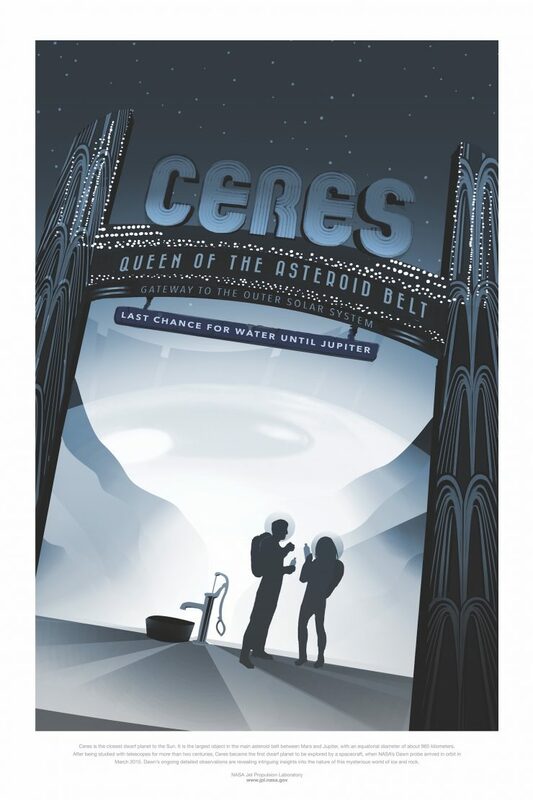 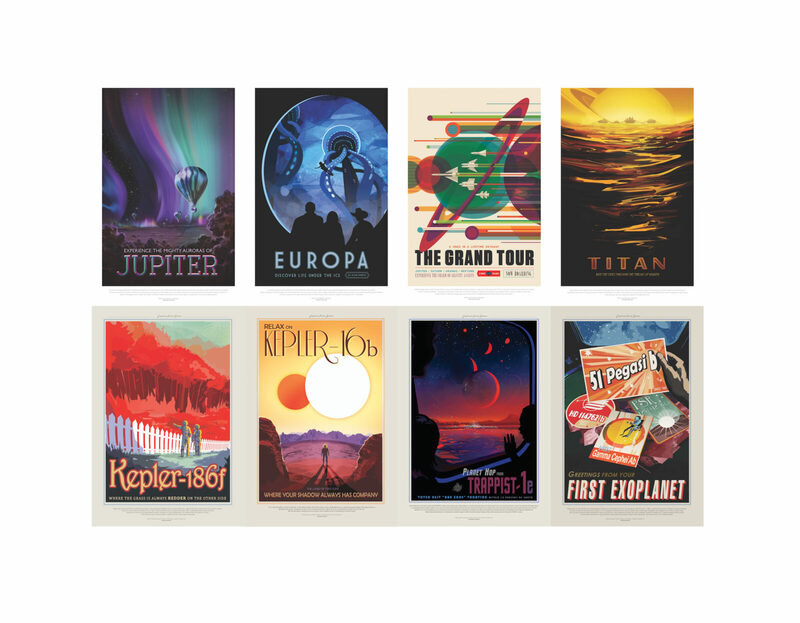 NASA and the JPL have loaded the full series online at a size of 20 x 30 inches and 300 DPI – meaning they’re perfect to print out as posters for bedrooms, offices, garages, sheds, living rooms. 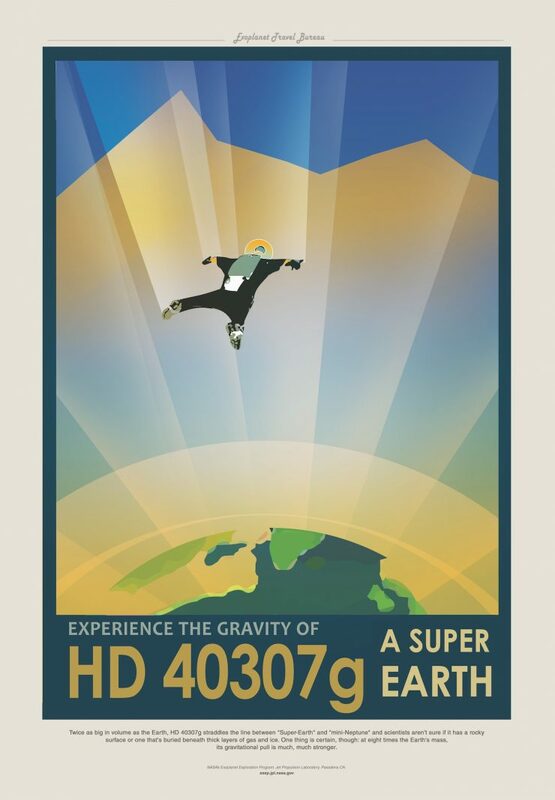 and anywhere else you might want to hang them. 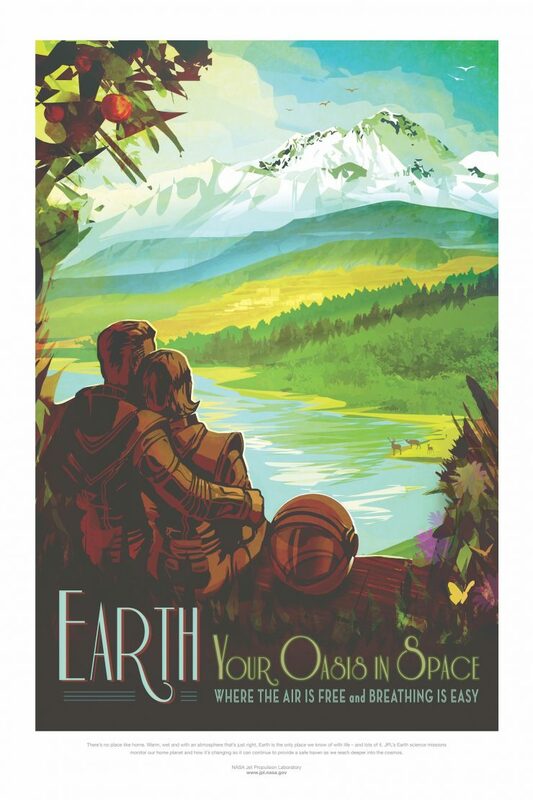 The NASA Space Tourism Posters are listed below at 1600px wide, making them ideal for use as a digital wallpaper on many smartphones or tablets (depending on your screen size of course). 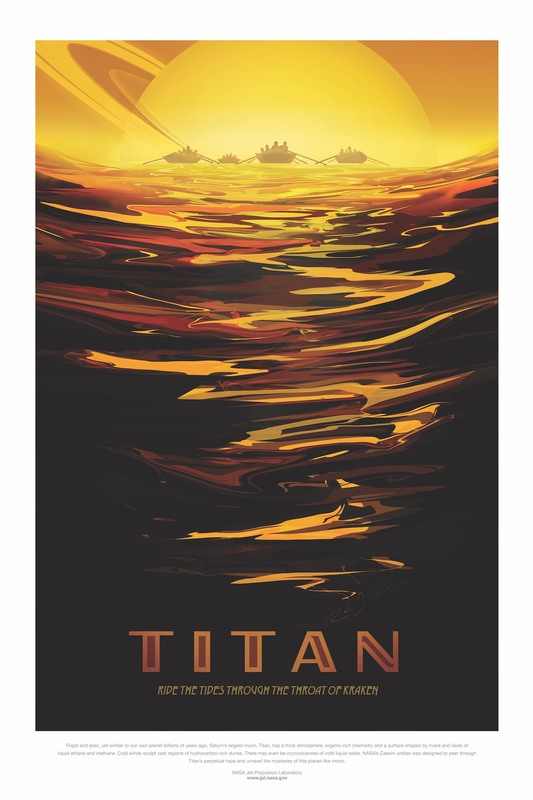 If you’d like to download the full resolution TIFF files you can click here to download them direct from NASA / JPL. 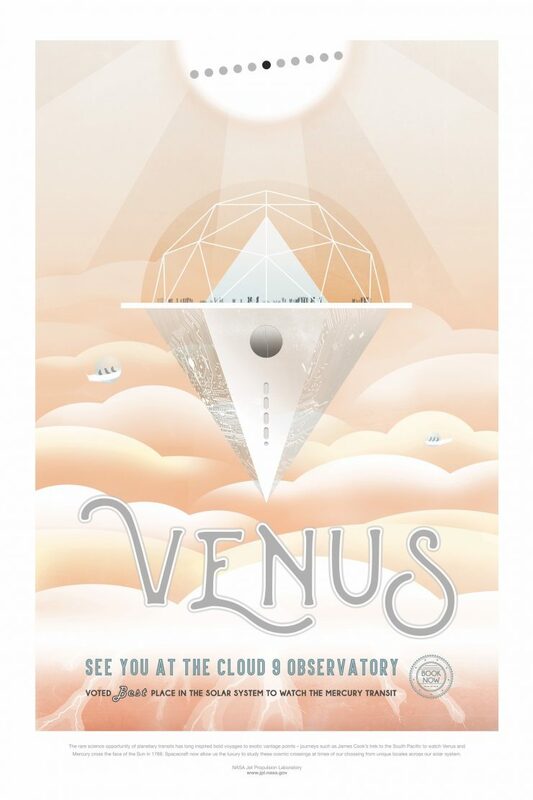 The artists are Liz Barrios De La Torre (Ceres, Europa), Stefan Bucher (Jupiter Design), Invisible Creature (Grand Tour, Mars, Enceladus), Joby Harris (Kepler 16b, Earth, Kepler 186f, PSO J318.5-22, Titan), Jessie Kawata (Venus), Lois Kim (Typography for Venus and Europa), Ron Miller (Jupiter Illustration).